The Class of 2016 in the Long Beach Unified School District earned $93.6 million in scholarships and grants. The total is a five-fold increase since a decade ago, and just shy of the previous year’s record of $96 million. Poly/PAAL students earned $31.8 million. School acceptances included Harvard, Yale, Princeton, University of Pennsylvania, Brown, Cornell, MIT, Johns Hopkins, Vanderbilt, Stanford, University of Virginia, Georgetown, Wesley, Smith, Wellesley, Tufts, Purdue, every UC campus, Northwestern, University of Michigan, USC, University of Texas at Austin, George Washington University, Occidental College, Williams, University of Notre Dame, NYU, Cal Arts and Spelman. 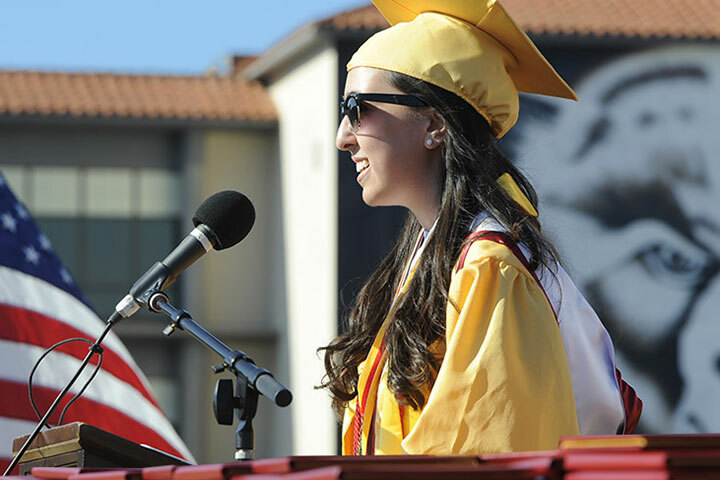 Wilson Classical High School students earned $25.1 million. School acceptances included Columbia, Stanford, Cornell, NYU, Purdue, Brandeis, Boston University, Boston College, Baylor, USC, Occidental, Tulane, University of Michigan, Reed, Seattle University, Pitzer, Loyola University Chicago, University of Hawaii, all UC campuses, University of Richmond, Santa Clara, University of Alabama, University of Denver, BYU, Pomona College, Chapman, Redlands and multiple CSU campuses, including 45 students admitted to Cal Poly San Luis Obispo. Lakewood High School students earned $11.4 million. School acceptances included the U.S. Air Force Academy, U.S. Military Academy, Stanford, University of Chicago, Purdue, UC Berkeley, USC, UCLA, UC Davis, UC Irvine, UC San Diego, UC Santa Barbara, UC Santa Cruz, UC Riverside, UC Merced, Brandeis, Swarthmore, Northwestern, Boston College, NYU, Art Institute of Chicago, Seton Hall, Northeastern, Adelphi, Fordham, Allegheny, Baylor, Texas A&M, Gonzaga, Loyola Marymount, Occidental, Chapman, Pepperdine, University of Redlands, Whittier College, all CSU campuses, Tuskegee, Northern Arizona University, Arizona State, Grand Canyon, Philander Smith College, Colorado Mesa, Johnson and Wales, University of Northern Colorado, University of Hartford, University of Miami, Clark Atlanta, University of Georgia, University of Hawaii, Brigham Young, Howard, Free University of Brussels, University of British Columbia, Mount Saint Mary’s University, University of La Verne, Biola, Azusa Pacific and California Baptist University. Millikan High School students earned $10.2 million. School acceptances included all CSU and UC campuses, USC, Columbia, Harvey Mudd, Embry-Riddle Aeronautical University, Tulane, Dickinson, Muhlenberg, Brandeis, Clark University, Seton Hall, NYU, Gonzaga, Regis, Reed, Occidental, Whitman, Lewis and Clark, Berklee College of Music, St. John’s University, University of Hawaii, Chapman, University of Washington, University of Puget Sound, Concordia University at Chicago, Tuskegee, Mills, University of Oregon, University of the Pacific, Morgan State, Hampton, Alabama State, Woodbury, Biola, Loyola University Chicago, Howard and Cal Lutheran. California Academy of Mathematics and Science students earned $9.8 million, including full scholarships to the U.S. Air Force Academy, U.S. Naval Academy, Brown, Stanford, UC Berkeley, Kalamazoo, Middlebury, Northwestern, Pepperdine, Boston University, Johns Hopkins and other institutions. Other school acceptances included Amherst, Cal Tech, Dartmouth, Duke, Emory, Georgetown, Harvey Mudd, MIT, NYU, Olin College of Engineering, Reed, Rice, Swarthmore, all UC campuses, University of Pennsylvania, Williams College and Yale. Jordan High School students earned more than $2 million, Cabrillo High School students earned $1.4 million, and Avalon High School students on Catalina Island earned $1.2 million, with students at these schools earning admission to multiple UC and CSU campuses. Renaissance High School for the Arts students earned $563,827, with acceptances to multiple CSU and UC campuses, Young American College of the Performing Arts, American Musical and Dramatic Academy, Vanguard, Fashion Institute of Design and Merchandising and Musician’s Institute. Students at Educational Partnership High School earned $40,000, and students at Beach High School earned more than $46,000.